If you aren’t already building an email list as part of your affiliate marketing campaign, you need to start now! Building a responsive email list is the best way of taking your income with affiliate marketing to the next level. 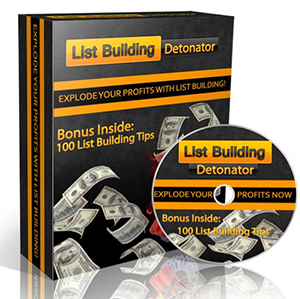 ‘List Building Detonator’ will teach you everything you need to know about building a responsive, highly profitable email marketing list.